Get ready for the thrill of your life! Making a skydiving reservation is quick and easy. Call (866) 553-2915 any day of the week between 8am and 11pm to make a reservation. We would also be happy to answer any questions. Make sure to find out which of our dropzones is closest to you. Both dropzones are open 7 days per week and convenient to VA Beach & Richmond. 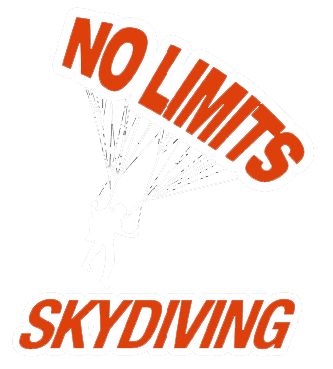 No Limits Skydiving™ makes it easy for you to make a tandem skydiving reservation. All you have to do is let us know which location you’d like to jump from. View information on our Victoria, VA location and our West Point, VA location here. Make sure to check which dropzone is closest to you. Let us know how many people are coming and what time you would like to arrive. When booking, we will take your name, phone number, and the number of people who would like to make a tandem skydive. There is no limit to how many people you can bring- we’d be happy to take all of you on a jump. We will also take a credit card information. We do not take a deposit for those who are making a reservation over the phone, however, reservations online will require a deposit. We know how hard it is to get large groups of people together for any activity. The person making the reservation will be the only one required to give credit card information. If you do not show or cancel your reservation, there is a $50 cancellation fee. You can call and change times and in certain cases they will let you change dates once, if the date you reschedule is within the same week with no charge. We get a lot of groups that come together to make a Tandem Skydive. There are discounts for large groups, so be sure to call for pricing. To make a reservation for large groups is the same as making a reservation for 1 person. Groups can add or subtract some people before the skydiving appointment day arrives. Just call us to let us know as the number changes. That way, we can plan accordingly for same-day reservations with other customers. Copyright © 2019 No Limits Skydiving. Tandem Skydiving near VA Beach, Richmond, Norfolk, and Chesapeake Virginia.